The only thing missing from Sara Happ's name is the letter Y. Her name should be Sara HAPPY! Let me tell you why. 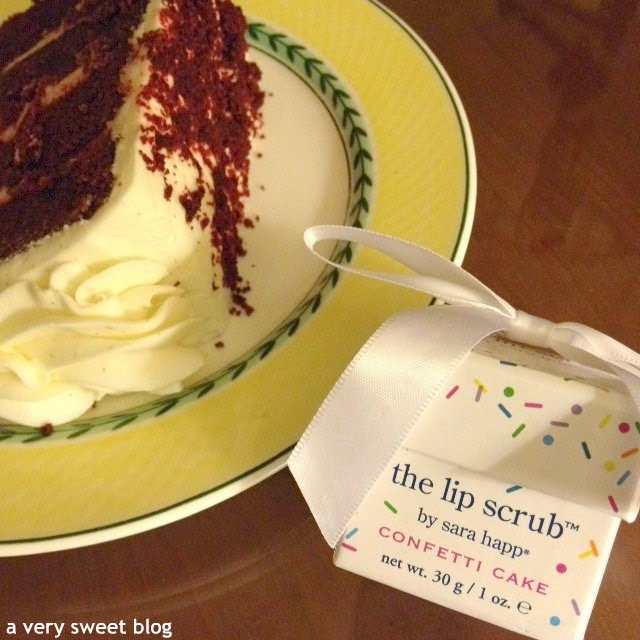 Her lip scrub exfoliator in Confetti Cake, has me smiling from ear to ear. The scent is like freshly baked cake out of the oven, that has cooled and been topped with butter-cream frosting. It's birthday cake! It's wedding cake! I LOVE IT! I know my faithful blog buddies are saying, WAIT A MINUTE KIM! You loved Fresh's Lip Polish (it moisturizes a lot, but it's gentle when it comes to exfoliation - maple scent) and Lush's Bubblegum Lip Scrub (it exfoliates and moisturizes, but I found out if you don't use the scrub in the jar right away it gradually dries out and loses moisture, which leaves only exfoliation - fantastic bubblegum scent). 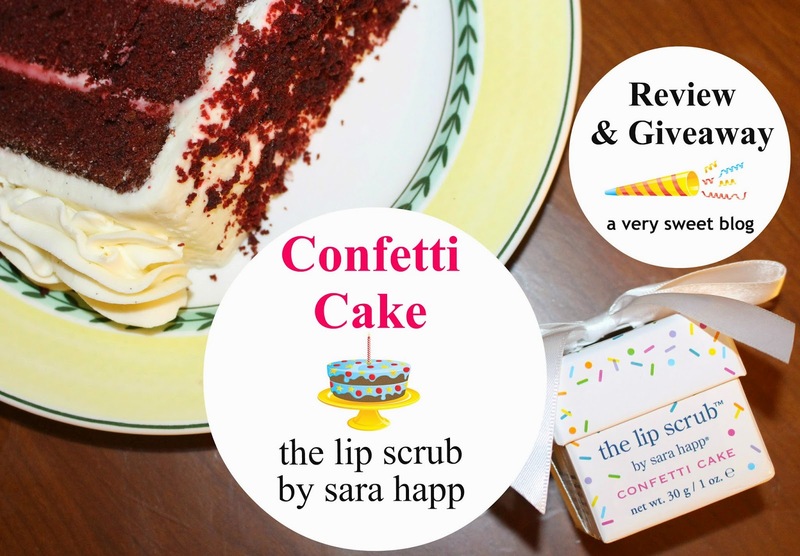 Well, Sara Happ's Confetti Cake is like the BEST of BOTH OF THOSE ...PLUS SOME! You get MOISTURE + EXFOLIATION + A DELICIOUS SCENT! All of that equals HAPPY LIPS! 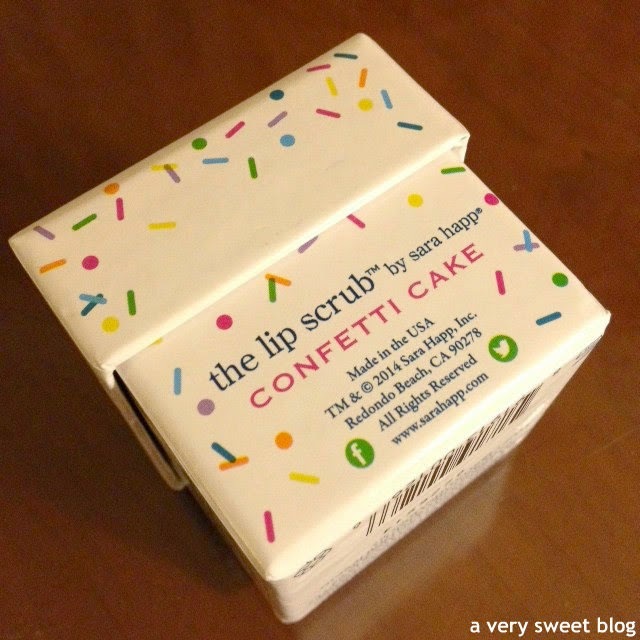 Pucker up baby, THIS is my new favorite lip scrub! Also, will you look at the packaging! How cute is it? 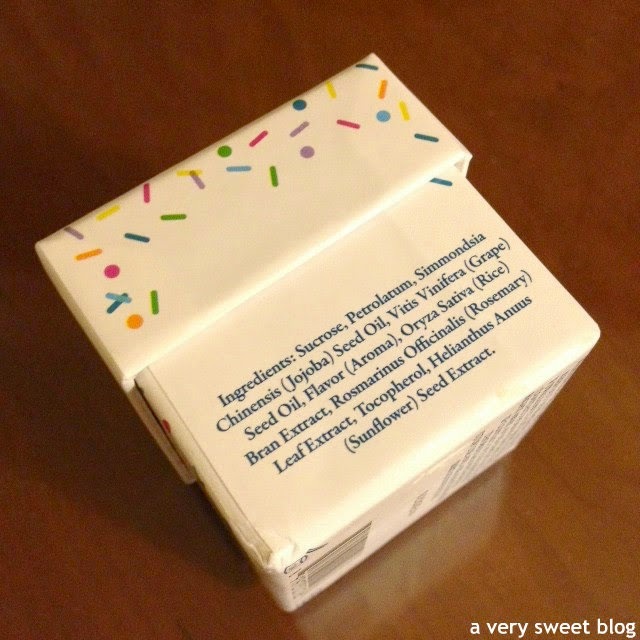 It comes in a little white box (reminds me of a ring box) with confetti print and a white bow. Sara Happ leaves no detail undone. The bad news: Confetti Cake is Limited Edition. Why? Noooo Sara! This should be available ALL the time! 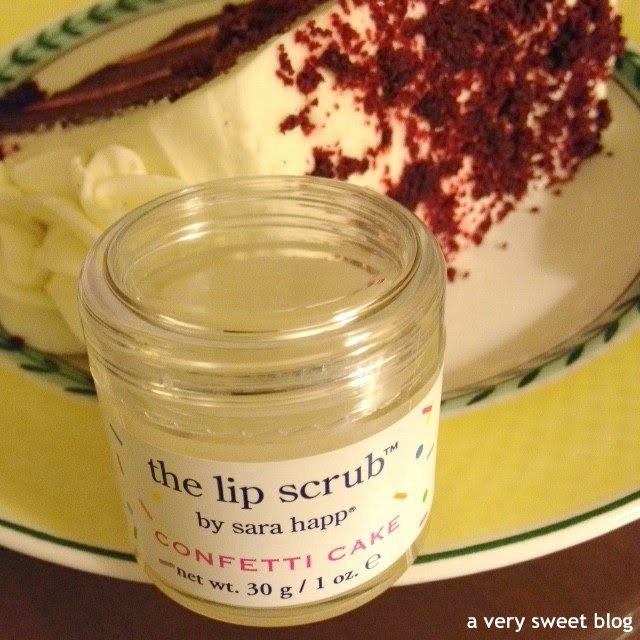 The good news: Sara Happ's Lip Scrub Exfoliator's come in an assortment of other scents (green apple, clementine, blood orange, vanilla bean, brown sugar, sparkling peach, peppermint, creme brulee, sparkling pink grapefruit, and red velvet [cake]...like the slice in my pictures!) 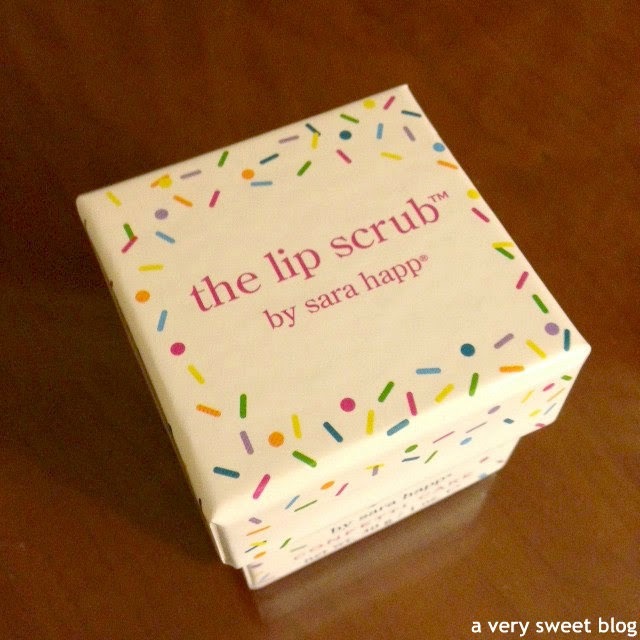 I purchased my lip scrub from Nordstrom, but you can get it other places, including Sara Happ's Website. Remember to sign up for Ebates, so you can get cash back while shopping online. 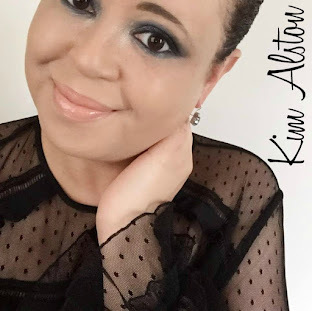 The winner's of last week's 3 giveaways: Katrina of Nails My Dreams [Phillippines] (Aveeno), Joie Confessions of a Book Pimp [USA] (Benefit) and Cee of Coco and Vera [Canada] (Smashbox). The giveaway below is open WORLDWIDE (anywhere USPS will ship). I check all entries for validity (it's absolutely painstaking and I've found many trying to get over (i caught you)...which is sad and not fair to others or me)! Good Luck and Have a Lickety Split Frosted Filled Week My Sweets! This sounds like a great lip scrub! Not only that, the packing is cute! like the packaging! Lovely giveaway! Wonderful giveaway! 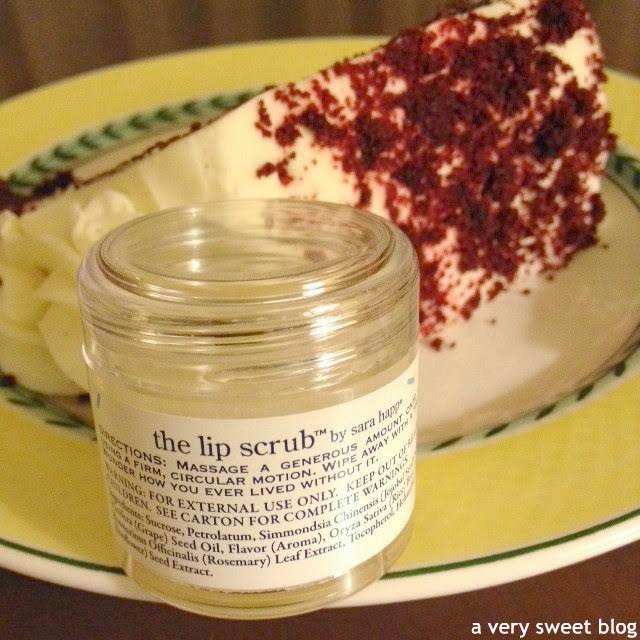 I really want to try a lip scrub and this seems to be perfect! Thanks, Kim! This sounds heavenly and I'd love to try it. The scrub sound amazing great giveaway like how you show the images that goes with the flavor of the scrub. sounds fabulous! i never tried an exfoliator for my lips before! You are such an enabler. i never buy lip scrub but this looks awesome! I want that scent and moisturization! 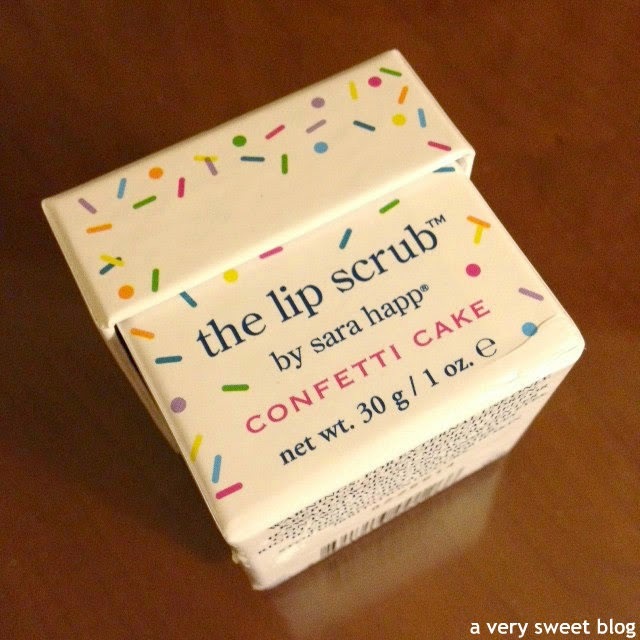 I have heard so much good about Sara Happ lip slip and now one more great product to remember. Fingers cross for winning. Would love to try. Haven't seen nowhere in Ireland selling Sara Happ products. Nice giveaway Kim! and that cake looks amazing!!!! Such sweet packaging. I love a lip scrub in the cold, dry winter time. Kim, you naughty girl! Tempting me with my favourite cake, the red velvet. LOL! 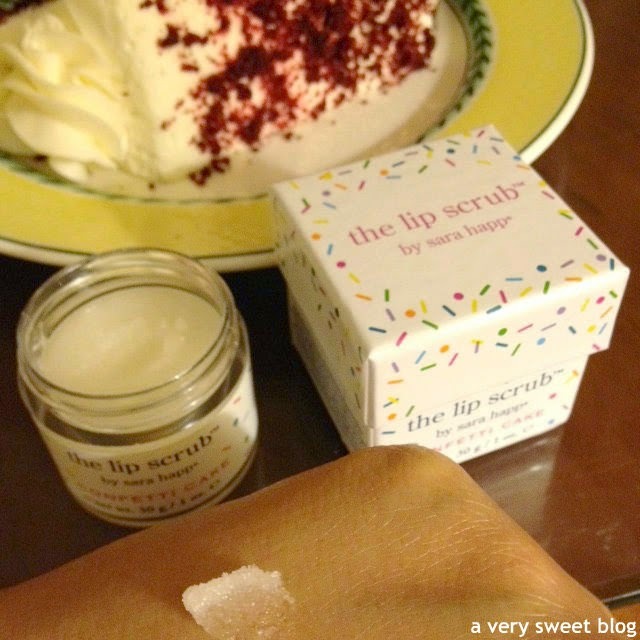 This lip scrub sounds absolutely lovely and fingers crossed to the giveaway! Confetti cake is my FAVORITE cake! I need to try this! NEED. This looks and sounds so amazing!!! I've never heard of this before but I want to try it out!! Thanks for the giveaway Kim! I've totally been eyeing this on Nordstrom!! 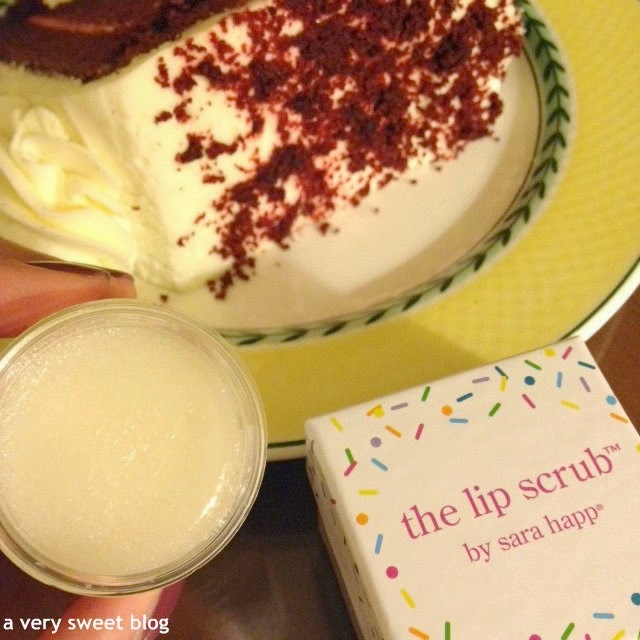 I've heard wonderful things about Sara Happ lip scrubs and this one sounds totally scrumptious Kim! Your description of it sounds amazing too and don't even get me started on the adorable packaging. I love the packaging and the name! It sounds divine, especially since I love cake :) Will be adding to my list to try. 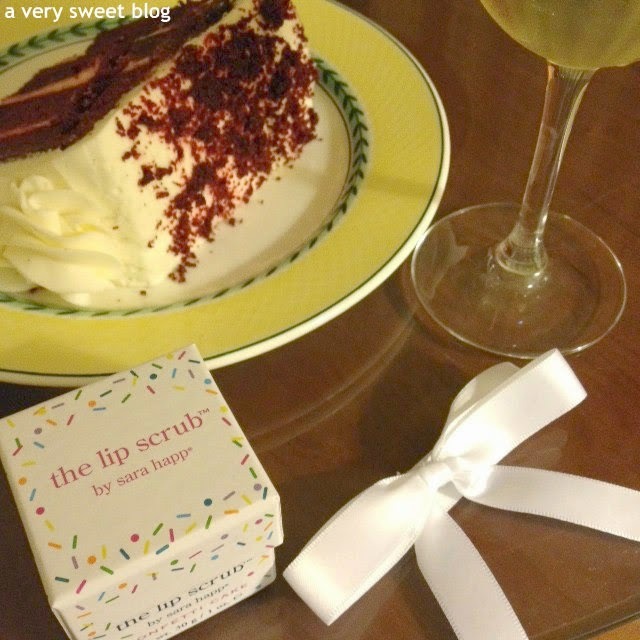 I love those lip scrubs! I had the Pink Grapefruit one before my wedding (I bought it at the place I bought my dress as she had little bridal trinkets and accessories). But the cake one seems really neat! Great review, and I love the Happy puns! I really need this scrub and love how you say her name should be 'Happy.' 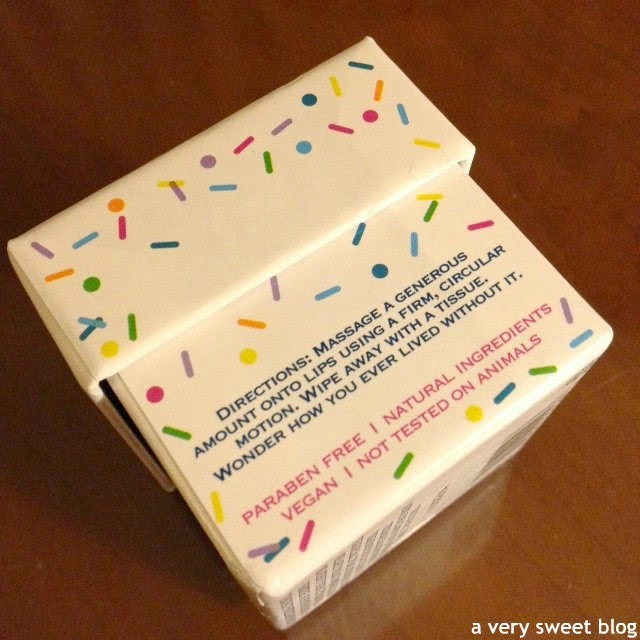 I'm a fan of cake batter or confetti or anything to do with candy and I like how her packaging is clean and simple. Plus my lips have been so chapped I really need this!! Thanks for another fabulous - and generous! - giveaway, Kim. The scent of this lip scrub sounds absolutely delightful, who could resist? Kim, I need this in my life! My lips are so dry in the winter. Thanks for this awesome giveaway! I already followed you on bloglovin' and I had to click on and off to see if it works. Lol. Happy Monday! Oooo do we get the cake too? Just kidding. The scrub looks awesome and love the name. 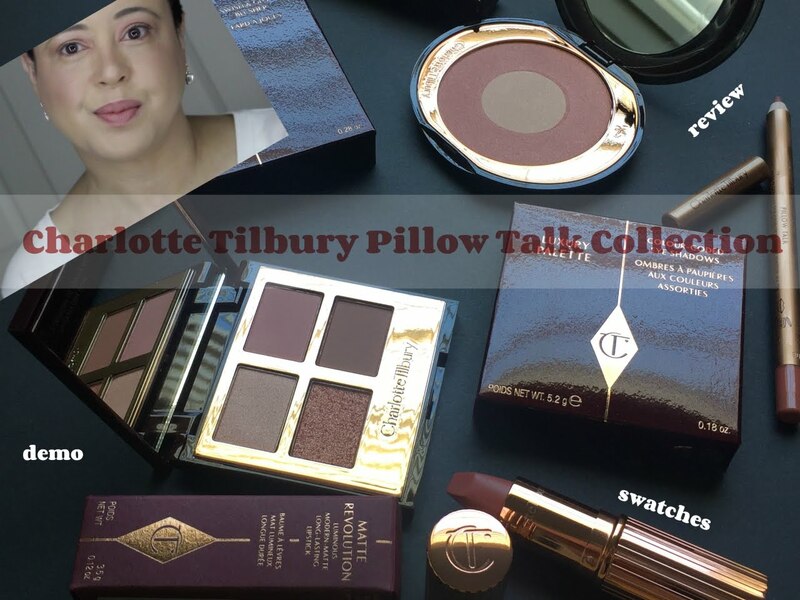 Wonderful giveaway, and great review!!! The package is so fun! Nice review Kim. That is some seriously cute packaging!! What a nice sounding product! I've never heard of this one before, but it sounds amazing! i need this in my life! sounds delicious! 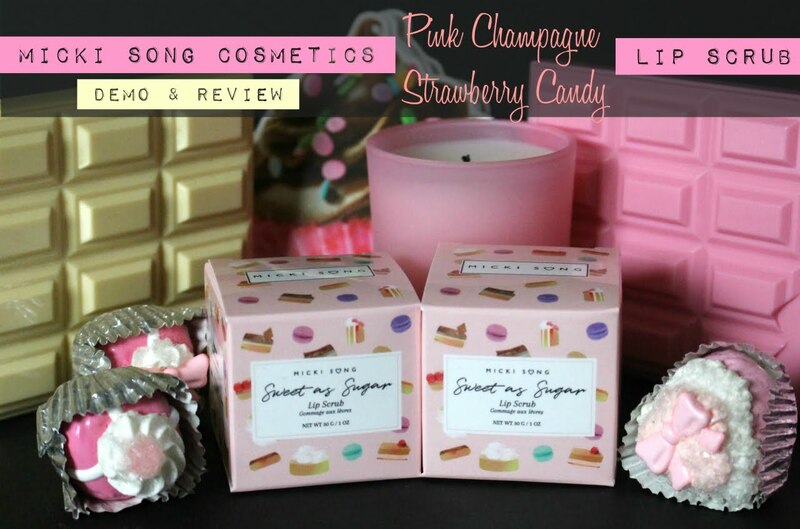 Great review - I love the packaging of these products - so pretty! Thank you for the giveaway! This looks so great! I've been dying to try a lip scrub because my lips get chapped so easily, but I haven't been able to find one with good reviews. It's so great to hear that you like this one. I'll be sure to try it! Thank you again for your lovely giveaways! 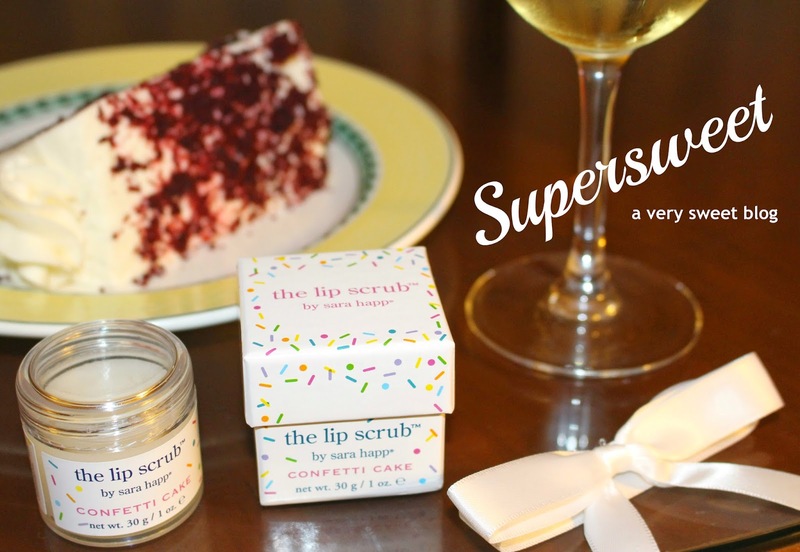 And I'm tempted to eat that lip scrub along with that cake. lol. I've never used a proper lip scrub, I'd love to try it!